Let's build your brand together - here's how. I currently offer two design packages. If you’re just getting started with your business, or need branding on a budget, I’d recommend Starter Branding. If you’re looking to take your business to the next level with custom strategy, brand & web design, Signature Branding is perfect for you. If what you're looking for isn't covered by the service packages below, drop me a line and we can talk about your specific project needs. Keep on scrolling to take a peek at the packages, my work and some kind words from past clients. Perfect for those just getting started. Together we'll create a set of branded basics that will get your business going without breaking your budget. 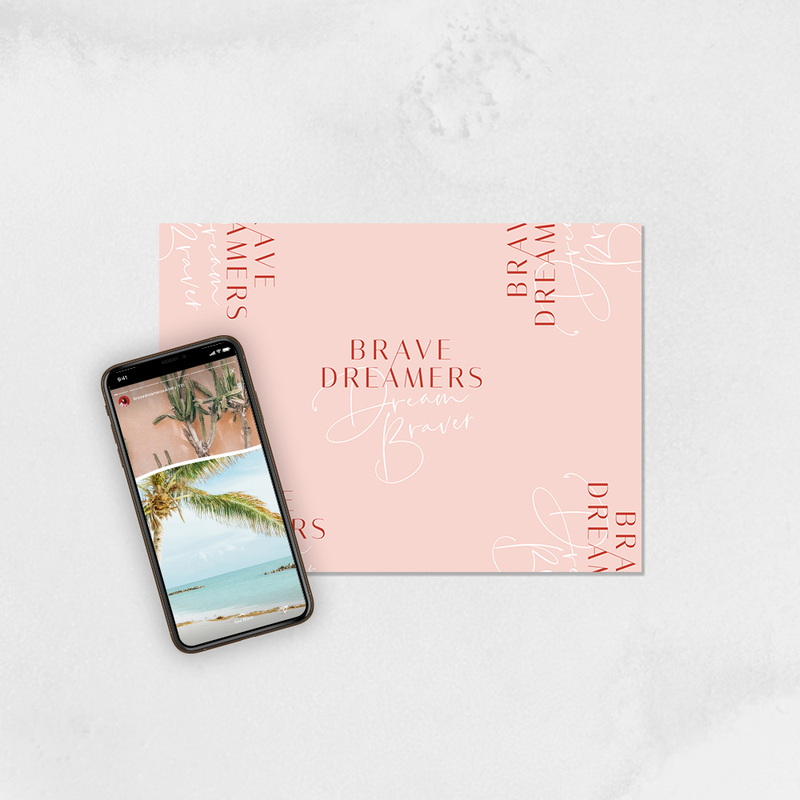 We'll start with a mood board and color palette, and use those to create your logo, pair everything together with some stylish fonts, and craft an essential piece of collateral. We'll cover the basics, but leave you with space to develop the design as your business grows. Together we'll craft a fully fleshed out brand for your business. We'll start with a discovery session, and from there we'll get to work on your logo, font system, color palette, custom pattern + icon elements, and collateral. We'll create an extensive visual identity that tells your unique story in a way that resonates with your personality and values. Project add ons such as Squarespace Web Design and Ongoing Monthly Contracts are also available. Here's some of my past work. I’ve had the privilege of working with clients in online business from all over the world, from virtual assistants to youtubers to coaches to online course creators. These are some of my favourite starter and signature branding projects. Click on each project to see the full design.